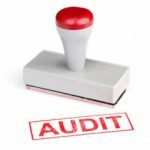 In case you’re not able to avoid an audit by avoiding the red flags that I talked about earlier, CNN/Money has some tips for dealing with an audit once it happens. Choose your battles — Before you decide to fight back, make sure it’s worth it. Don’t delay — If you receive a notice form the IRS that you owe them money, file an appeal within 30 days. If not, the government could seize your property in lieu of payment. Seek advocacy — Consider enlisting the help of the IRS Taxpayers Advocate Office. Negotiate — If you can’t pay what you owe, negotiate an incremental payment plan. If you’re in bad enough shape, it’s even possible that you’ll be able to reach a compromise on the amount that you owe. Go to court — There’s a reason that this one is listed last… But if all else fails, you can always got to U.S. Tax Court, and you won’t have to pay the contested amount until after your case has been heard. My fraternity had a problem a while back regarding the cook we had hired. We thought he was 1099 but he didn’t officially qualify as an independent contractor (he didn’t fit all three rules) so we had to pay back taxes. As an organization with little reserve funds, we had to negotiate (and did successfully) with the IRS to reduce the penalties. If you did nothing wrong, they’re more likely to reduce penalty charges.